Peter, a new thing has happened. All was well, Tom is a clever guy, and did everything al lright, plugin installed and yes, we see him, he sees us and so on and so on. 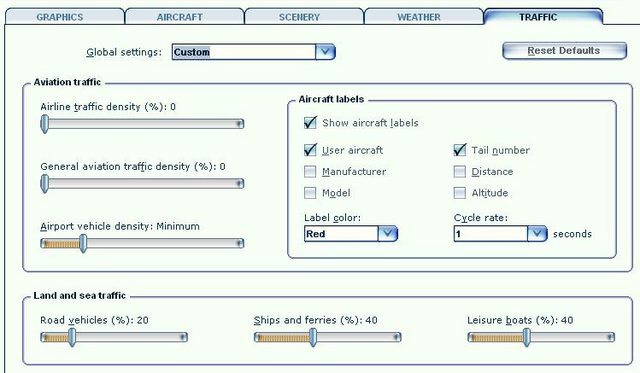 I am not familiar with Xplane, or how it sees ai traffic, oe even its setup, so I cant advise Steve on the next step. We, as a matter of policy and support, install your new versions as soon as they arrive, and I post this fact on our website as soon as I notice that such a new version is available. We rarely have any trouble, as you will have noticed from my posts here. 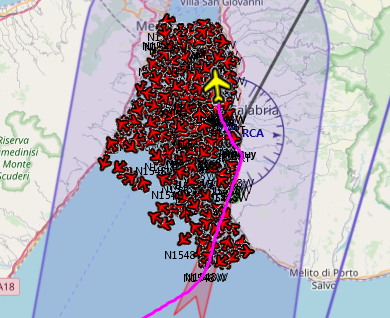 They are ALL N1548W, HIS callsign. It seems to be echoing something from somewhere, for the numbers keep increasing the longer he stays connected. he is the ONLY one with this problem. Although, on occasions, I will get a couple of strays, but they disappear fairly quickly. Do you want any other info? Log files etc, anything from Tom and XPlane? Anything we can supply to help, we will do. Well, if anything he's not short of company on the flight. But, seriously, you started talking about Tom, but then switched to Steve. Did you mean it was Tom with X-Plane that was having the problem. Just need to make sure that it was the X-Plane guy with the problem. I use X-Plane a lot now but haven't seen this yet, but I'll need to do more stress testing to see if I can reproduce it. If it's X-Plane then it's strange because X-Plane only allows 20 extra AI aircraft and your picture has a lot more than 20. Could you ask him to open the monitor window with View|Monitor, tick the log option, open the logs, post the information from log-current here and I'll take a look? Also ask him to look at View|Aircraft. Is that also filled with objects? One final thing to ask, does he use other plugins for IVAO and VATSIM. If so, he needs to disable those when using JoinFS. I use xOrganizer to quickly turn these on and off before running X-Plane. Peter wrote: I use X-Plane a lot now but haven't seen this yet, but I'll need to do more stress testing to see if I can reproduce it. Do you want the log file from Steve, FSX? We will take a copy on todays flight just in case. Steve is the guy with flight company!! Just out of interest, please find attached, a few log files. Raymonds is FSX, as is mine. More to follow after todays flight. Steve $3 is from today. The rest are on my flight computer and I will add them when I am back in my office. I will tell you when I am finished. As an observation, every time Steve gets close to water a large lake or the sea, he gets AI stuff. This seem to be happening since JFS ver 13. Raymond started the ball rolling by getting everybody to close JFS down, disconnect from PlanG and at his request, log back in one at a time. Everything was cool, until I returned from downstairs, and caught up with what Raymond was doing. The spurious aircraft that Steve was experienced was MY fault. I turned Leisure boats , ships and ferries, Road vehicles and Airport vehicles off. All the spurious AI traffic disappeared. As part of the search for the FSX actual culprit, I then turned my traffic back on, one section at a time. Of course, Mr Culprit was the last one found. Why would Leisure boats create AI aircraft for another user, and all be wearing the same Ident as the victim? Except for ME, and I consistently got 3 copies of Art, who is also a New Zealander. Coincidence? I hope you can cast a light on this. Ok, we solved it, or, we found out how to mask it. When did it start? During the last round of JFS updates. I have ALWAYS had the traffic set as per pix, above. Its my default setting. I wondered why they were only over the sea. That makes sense now. It’s a bug alright, no idea why it only just turned up though. I’ll investigate. I suggest you temporarily turn off leisure boats until the problem is fixed. Good bit of debugging, that. Well done. The debugging was the easy bit, Peter, the WHY is the hard bit. We have a very good team at FBW, we are all friends, as well as Flight simmers.